This wine, typically very dense and structured, is different in 2013 : supple, full-bodied and perfumed with notes of cherry and prune fruit. Very pretty and aromatically expressive. 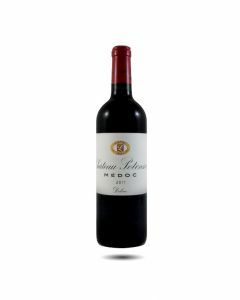 It is amazing to think that a wine of this quality can be made at the far north of the Médoc peninsular but Jean-Hubert Delon’s ambitions for this property have led to an even stricter selection and the creation of a second wine. Made from a blend of 44% Merlot, 39% Cabernet Sauvignon, 15% Cabernet Franc and 2% Petit Verdot, there is lots of texture here, creamy and rich, with bright, fresh, sweet fruit, lovely balance, juicy blac fruit flavour. Really easy to drink already and very enjoyable, this is a very attractive winerepresenting good value. Intense and bright; rich and concentrated with autumn fruit aroma and a pretty sweet character; well-structured and tannins and long with a touch of minerality and hedgerow on the finish. At a blind tasting of Léoville Las Cases recently, I mistook the 1996 Potensac for a Pauillac Cru Classé ! This is just to show how good this wine is and how well it ages. Cruelly reduced in yields this year by hail, this is a spicy, energetic wine with lots of dark fruit. Very good. Deep ruby in colour with a dense nose, tight tannic structure and dark fruit concentration. The palate is fresh and very intense. Bright and vivid colour and very good persistence in the nose. Lovely fruit and good intensity wirh lovely berry fruit on the attack, some minerals and very good, crunchy tannic structure. A favourite wine which represents good value and should develop very well over the next 5-10 years. Only 55% of the production this year as a result of the frosts. This wine from the Léoville Las Cases stable is lovely and still good value for the quality. It ages surprisingly well. Made from a blend of 45% Merlot, 38% Cabernet Sauvignon and 17% Cabernet Franc,this has pretty dark red cherry, plum and blueberry aromas on the nose. It is sweet and fresh on the palate with a touch of spice, leather and liquorice and has an elegant rather racy finish.